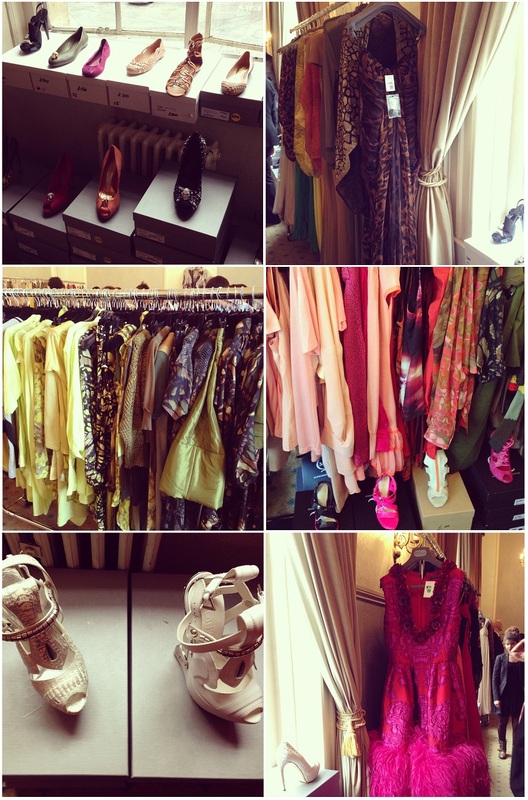 The McQueen sample sale is being held at the moment at a fabulous house near Farringdon. Being a student I knew I was not going to be able to afford anything, but thought I'd go along anyway to check it out! And what a treat it was; intricately made clothes, wonderful shoes and an endless array of skull encrusted jewels - it certainly did not disappoint!